Until 2015, the smart watch phenomena was still not as popular as it is today. Nowadays, you can find smart watches of different brands and design. In this article, we have expertly reviewed the Top 10 Best Smart Watches for Men 2019. Buyers often have a ton of options and can find themselves confused, wondering what to go for and what to leave. Some basic knowledge on smart watches and what to expect will go a long way in ensuring that you buy what you need. There are plenty of smart watches on sale, but unfortunately, many buyers do not bother to check whether they are compatible with their phone. Presently, most smart watch manufacturers are making products that are compatible with almost all smart phones, especially if they have an Android or iOS operating system (OS). The best smartwatches in the market are usually compatible with both iOS and Android. Kindly note that Apple watch is limited to iPhones and even though Android wear watches may have iOS support, they only operate best with Android smartphones. Therefore, buy what works with what you have. 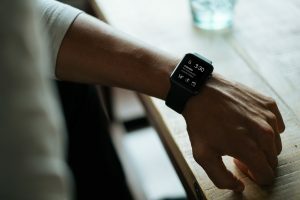 A multi-platform watch might also have its advantages like the ability to access more apps since you are able to access the best of the two worlds. The best smartwatches compatible with iOS and Android respectively are not hard to find. Almost all smart watches can handle notifications, contain several watch faces, playback controls, and pedometers. You should focus on the main feature that you want and find out if it is dominant in your preferred watch. For example, Apple Watch contains a wide selection of apps including a heart rate tracker, retina display, and Siri integration. You can even use the watch as a speakerphone. Currently, all Android Wear is compatible with Google apps. However, Google does not permit the use of skins, and that is why you have not seen any so far with Android Wear. Not to worry though. You can still do voice searches and even get reminders about the important meetings or appointments. It should be noted that Android Wear smart watches are quite affordable, but they do not offer the whole package. Thus, you will certainly lack certain features like heart rate sensors. This question is all about the battery life of your watch. Smart watches are not known for longevity when it comes to maintaining power. Their battery life is directly proportional to the quality of display and how long it stays on. The most common display technology in these watches is AMOLED and LCD. These displays can stay on for as long as two days, though it also matters just how many notifications you get. The more notifications you receive, the more power the watch consumes. The best thing is to ensure that you charge your watch every evening. Design is an essential part of the smart watch package. Nobody will wear a watch that does not look good to them. It is all about personal style and aesthetics. Check the body and strap size and color. Go for something that matches your wrist and persona. Apple Watch models are square while Android Wear is all about circular displays. Pebble watches (with Pebble OS) have almost all the desirable features. The watch comes in nice colors and even though affordable, it does not look cheap. There are two types of interfaces; touchscreen and buttons. We cannot say that one is worse, but each has its pros and cons. So, just go for what makes you happy. Touchscreens guarantee easy navigation, but small items on the screen might be problematic to view. Buttons offer precision, but it really does take your time when you have to press here or there. Last but not least, you need to take price into account. You might like a certain watch, but you need the money to buy what it offers. If you want above average features, for example, you might as well have above average cash. Believe you me; there are smart watches that go for up to $17,000. Yes, $17,000! There are some smartwatches under 100 dollars. So, there is a price for everyone. It only matters what features and functionality that you are going for. Nonetheless, be wary that cheap is always expensive while a moderate price could get you more for less. Indeed, it is true that the market is flooded and you are spoilt for choice. However, if you actually know what you need, then this should be a walk in the park. How much do you have saved up to acquire a smart watch? For example, if your budget is between $200 and $300, go for the ASUS ZenWatch 3. What do you care about the most? Is it notifications not passing you by or are you all about fitness? You should go for a watch whose best features complement your needs. You should also ensure that you do not get problems with charging. Something that can last days or months without charging should fit well. Lastly, get what you will be proud of wearing because design also matters. Knowing what you need is one thing, but it is also important to know why you need it. A smart watch is no longer an accessory; it is a must have. So, why should you go ahead and order one today? You are on a busy subway or on the road, and you hear a notification from your phone. It may be important, but putting your hand into your pocket could mean signaling pickpockets. Moreover, there are cities with road signs in response to complaints about phone zombies. Simply take a look at your smart watch to see your notifications. Taking that quick glance could mean making our roads a bit safer. It is only proper for a gentleman to have gentle conversations. Nobody needs to know what or who you are speaking to. You also do not need to excuse yourself from an important meeting, a glance at your wrist is all it takes. If you have a smart home, then you will find a magic wand in a smart watch. You can turn lights on or off or even start the music simply by tapping your watch. Everyone is trying to pursue a healthy lifestyle, and if you cannot afford a personal trainer, you can try a smart watch. It will mark your steps and even nudge you when you are idle for long. With such features, you can go a long way with small steps. Most smartphones have large screens with high resolution. This is what drains their batteries. But what if you could save your phone’s power by letting your smart watch handle most of the work? Smart watches are full of versatility. You can customize them by changing faces or even straps. Therefore, you can decide to make your watch calm and conservative during weekdays and bright and funky for weekends. You are no longer a stranger in any city. You can use your smart watch to find locations. It is easier to stare at your wrist and the road than at a phone’s screen. No need to worry about your phone dropping and cracking. You can enjoy your favorite songs on the go. The song can be played from your phone and controlled via your watch. This watch suits every gentleman who loves style but also wants to be subtle about it. The watch has a touch of tradition and luxury ingrained in it. This can be seen from the high quality of its construction material. Not only is the display eye catching, but it also has a good number of features to increase your productivity. The design permits customization so that you can match the look according to your taste. There is no need to worry about the battery draining thanks to the quick charging technology that keeps the watch going. This ASUS smart watch has been developed in collaboration with none other than Google. Its performance with Android phones is near perfection, but the best part is that it can still operate on its own if need be. The ZenWatch 3 has been designed in a manner that it feels good to wear. The impressive look and feel are as a result of the grade 316L stainless steel. The watch can stand tremendous wear and tear thanks to an 82 percent stronger cold forged steel. The straps are not made out of plastic but real Italian leather. If you love buttons, then you will love its three-button design. These buttons offer you a wide range of functions. You are assured that there’s no lagging or freezing, thanks to a Qualcomm Snapdragon processor. Lastly, you can be confident that you will be saving energy. 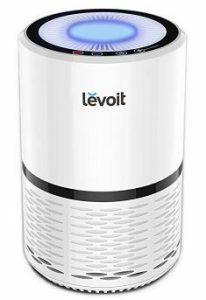 The hypercharge technology ensures that just within 15 minutes, power will be up to 60 percent. The Huawei stainless steel watch is the epitome of style embracing technology. It has a full circle display; fine leather and premium castings have never looked this good. The Huawei watch is more of a statement smart watch rather than an accessory to complement your smartphone. It entails a combination of scratch resistant sapphire crystal, bands made from beautiful leather, and stainless steel bands. Also, it comes with cold forged stainless steel cases. There are several watch faces to choose from, so you only pick what matches the occasion. There is also an app that tracks your heart rate among other things. Thanks to the E-Paper technology, the Pebble Time Smartwatch display is always on. Amazingly, the E-Paper Display does not consume a lot of power. The glass lens here is quite durable. You can also go swimming or diving, but you can only go as far as 30 meters deep. When it comes to charging, you might as well go on a short vacation without worry because the charge stays for up to one week. Everything is kept on track for seven days till the next charging session. The Pebble watch comes with a brand new timeline whereby you get notifications via pins. These are not just ordinary notification and update pins, but they are also arranged in a manner of what came in first. This ensures that you handle first things first. You also have more than 8000 apps at your disposal. The Samsung SM-R3600ZBAXAR Gear Fit2 is the perfect smart watch for the man on the move. The watch has a wide range of sensors which monitor all your activity levels. This includes the amount of calories you burn, sleep quality and heart rate. The sensors are so good to the point that they can identify the kind of physical activity that you are engaging in like running or cycling. Furthermore, it is compatible with both Android and iOS devices. It only takes a single glance, and you will be up to date regarding notifications and daily activity levels. The advantage of all this is that you will be able to achieve your goals easily and ensure your body is in the right shape. The inbuilt GPS ensures that you get real time stats. The watch is water resistant, designed to withstand it all no matter how rainy it gets or how much you sweat during workouts. It also comes with one year’s supply of premium apps. Premium apps mean an improved user experience. A good alternative would be the Samsung Gear S3 Frontier or Classic. The Pebble 2 gives a new definition to the phrase having your life in your hands. You will be able to track your calls and texts and at the same time monitor the rate at which your heart beats. The control function has even been made easier for you since all you have to do is speak and the mic will ensure your voice action is implemented. Can you use it in water? Yes, you can, just ensure you do not dive deeper than 30 meters. You have access to loads of apps thanks to the ability to customize all that you want. The integrated sleep tracker ensures that you rise and rest in a manner that rejuvenates and revitalizes your body and mind, ready for another day of productivity. The display is always on, so you are always kept in the know. It is an E-Paper screen so you can be assured that the battery will not drain quickly. The Garmin Fenix 3 HR is both a beauty and beast. Do not let the rugged look fool you. It contains the features that advance your fitness efforts and also assists in outdoor navigation. Connect IQTM – the first ever open platform for Garmin wearables guarantees you access to loads of widgets, apps, data and even watch faces. How good are its exercise features? While most smart watches brag about heart rate monitoring, the Fenix 3 is in its own class, by measuring your oxygen levels. And yes, it does monitor your heart rate. There is also a feature that advises you on recovery and one that even predicts your pace. Regarding GPS navigation, there is an altimeter, barometer, and compass. If you are lost, you can be shown the way back to where you started. You will also get a notification in case the weather is not so friendly. Battery charge depends on the use. This smart watch is robust in size, but it fits just fine and does not slide around your wrist. Its size, however, does not serve as a distraction. You do not have a touchscreen display, but you have five buttons at your service. It will take you sometime before you get a grip on how things are done and you will be grateful that you have buttons in weather that is not touchscreen friendly. The other beautiful thing about this watch is that you can swim for the first time without spoiling the fun for everyone just because you bought a smart watch. You can dive up to 100 meters deep, so it is truly water resistant by nature and not just by name. If you are a man who loves traditional watches, then this smart watch should be able to satisfy your needs. This is actually a fitness tracker that offers you the total package and has an analog look. Its sleek design makes it the perfect accessory to keep you on the go. It also integrates with the Health Mate app found in both Android and iOS gadgets. It only takes a glance for you to be kept up to date with your activity levels. You are also able to go for a good swim or a dive, up to water levels between 50 to 150 meters. You can set the watch to analyze your water workouts. The watch embodies a traditional look, but it has no buttons. How come? Well, everything is controlled via your smartphone. The casing is made from 316L stainless steel which serves as a benchmark for many smart watches. Unfortunately, after some time, you will notice scratch marks at the bottom. You have two different watch faces to choose from – black and white, but when it comes to the silicone straps, you will be spoiled for choice. As you have come to see, this is not the ideal smart watch. Therefore, do not expect any vibrations or notifications. It tracks your daily activity and has a silent alarm. Also, the alarm is not so reliable since it has a faint sound which may put you back to sleep instead of waking you up. The best part is that you no longer need to worry about charging because the battery can operate for eight months before replacement. Need to see its current price? Click here. The Martian Notifier smart watch is a mixed breed of the smart watch and the traditional watch. Do not assume that it is no good simply because of its small notification screen. The features therein are advanced and outdo those found on some popular smart watches. So, if you are looking for something classy but trendy, this is the watch for you. You also get plenty of alerts, and none of them will pass you by since its vibration works well. You should note that not every vibration is worth your attention. Every vibration is unique and depending on the kind of notification you get; a different vibration will come through. Apart from vibration patterns that can be customized, you can also filter your notifications. This ensures that only the most critical alerts get to you. So, you do not have to waste time looking down on your phone every time a notification comes through because you already know what really matters. Well, the manufacturers of the Martian smart watch do understand that you are human and that at times you may fail to keep up even with the customizable vibrations so what can you do? They have ensured that you can just tap on the glass and all the notifications that you missed will reappear. No need to worry about charging because the watch can store power for six days. In case you turn it off at night, or when you are not using it, then the battery power can go for more than six days. You can also use the watch as a remote control for your phone when taking photos. This should save you the burden of asking strangers to take your photo or one of you missing out on a group photo. The makers of the Vector Watch Luna smart watch is more or less similar resemblance to the rest of the watch community. It resembles your typical smart watch. The screen is always on, and the battery will offer you power for 30 days nonstop. When it comes to water resistance, the watch is rated 50 ATM. For an improved user experience, download the Vector Watch Mobile App. You will also be able to access different watch faces and also get information streams via Bluetooth. The Vector Watch App is available on both iOS and Android platforms. You get notified about your notifications via gentle vibrations, but the information will only be displayed when the watch is turned to face you. This is a smart way to ensure that no one else has access to information that is meant for your eyes only. Minimal interaction is the name of the game here. All you need to do is flick your wrist, and the notifications and alerts will be dismissed. This watch is more than displaying notifications. It is also able to track your daily activity against your set goals. It can measure calories burned, distance and steps plus the amount of sleep you are getting. The Ticwatch is described as a product of innovation thanks to its sleek design and of course its distinct operating system, the Ticwear OS. There is finally a new way to order an Uber without taking out your phone. What else can you do with the Ticwatch 2 Smartwatch? Simply go out and do some physical activity and all your steps plus your heart beat rate will be recorded without using your phone. Go out there and do your thing while listening to your favorite music. Moreover, you can choose a design which matches your taste. You have two options, the charcoal black aluminum frame or the silicone snow white silicone strap. Now, that is for the sports fanatic. If you want something else, then simply try the Zen style which offers the oak cold forged stainless steel frame, or the onyx black cold forged stainless steel frame. You are always connected to the world around you thanks to the notifications, and if you want to work smart, then you better make use of the voice feature. There are plenty of smart watch options in the market. You should simply choose what makes you comfortable in terms of price and needs. Do also note that style counts. Therefore, do not be afraid to sample new designs. If the watch offers nothing more than aesthetics, then you can choose something else even if it costs a bit more. You can be well assured that in 2 years to come, this list will change because this is an industry driven by technology and changing needs. It will all be about limiting the phone-reliant functions of a smart watch and letting the smart watch lead its own life. We hope to see more smart watches reduce their robust sizes and focus on big functionality. For example, improving vibration patterns, sophisticated voice commands and the possibility of a smart watch that does not require the use of two hands would be amazing. All in all, we are sure that all this will be achieved sooner or later. We have also reviewed the best smartwatches for ladies this year.